An environmental movement is stirring in indigenous communities across North America. The moniker ‘water protector’ came from the protests of the Dakota Access Pipeline (DAPL), and the DAPL story is a powerful example of activism in the face of environmental racism. But environmental activism is often much more subtle than the headlines let on. In Canada’s North, indigenous youth are stepping into leadership roles and families are recognizing the importance of relearning traditional activities not only as a form of conservation, but also as a way to preserve their culture in a time where Western values and technology are influencing these communities more than ever. In the Northwest Territories, youth are encouraged by the words of Tlicho Chief Jimmy Bruneau, who in 1936, set out a vision to accept the worldview of the white man but to never lose the skills, teachings and traditions of the Dene. His words later interpreted to mean, “strong like two people”. In small, remote NWT communities like Kakisa, Lutselk’e, Jean Marie River and Fort Good Hope, people are ‘getting back to the land’. For them, it is a way to create jobs, bridge the intergenerational gap between elders and youth, and cope with trauma triggered by residential schools and the ongoing reconciliation process. In the shorter term, being outside has shown that they become physically fit, are more engaged in their communities and do better in school or at work. Frank Hope, a Dene counsellor and motivational speaker, says that being on the land “is a very spiritual connection”. “This is a continual renewal and relearning to be like our ancestors who were resilient in surviving and thriving on the land,” he says. In the last federal budget, $25-million in funding has been set aside for the Indigenous Guardians Program – a program that helps indigenous communities become stewards of their ancestral lands: as land/water monitors, park rangers and environmental advisors in addition to building capacity for community-led initiatives. 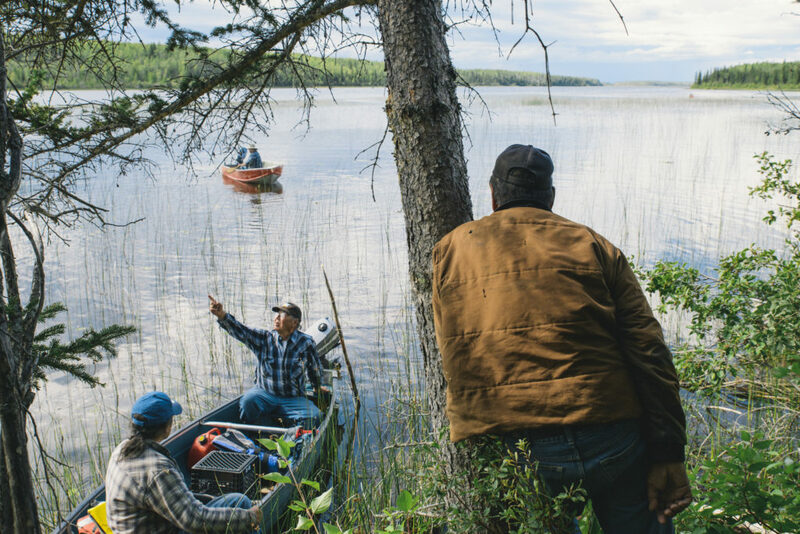 Dehcho First Nations Chief, Herb Norwegian, calls this “having moccasins on the ground” where community-driven conservation programs are built by the communities themselves, using traditional knowledge and science to protect their homelands. This a great commentary by Pat Kane who has paid a lot of attention to detail… a good listener !